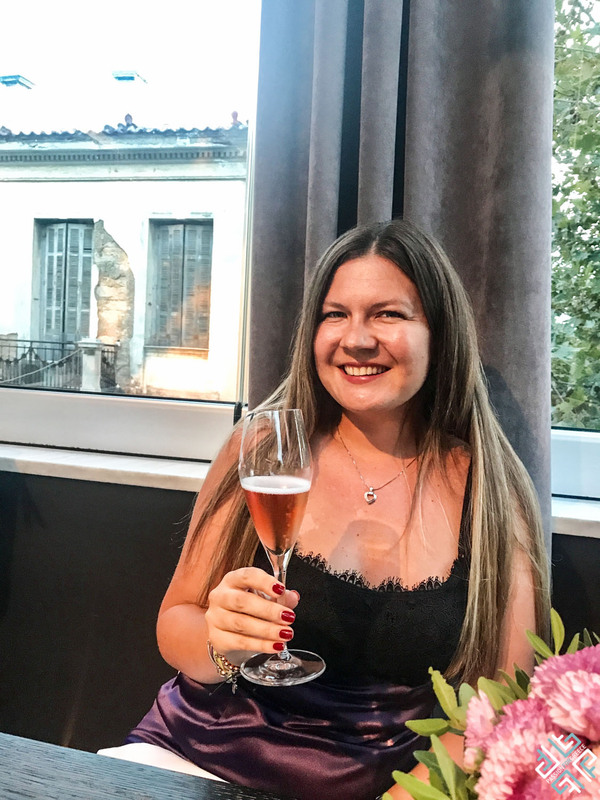 Funky Gourmet, a two star Michelin restaurant in Athens is definitely one of the city’s best hidden gems. 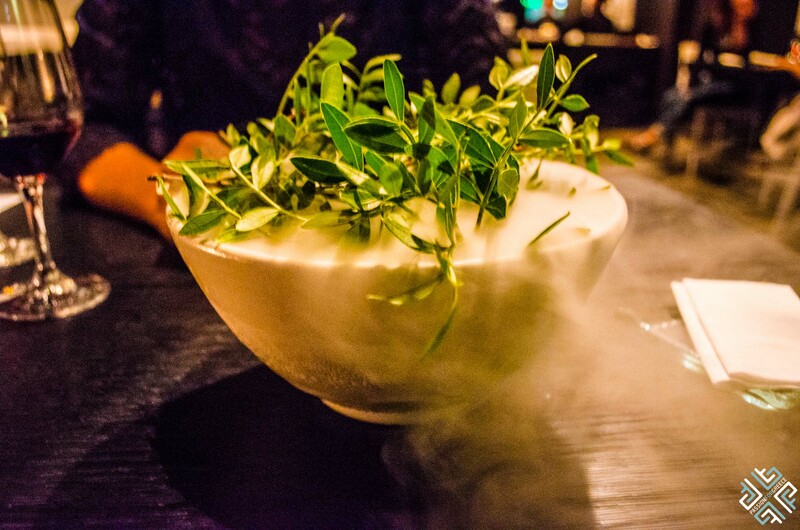 Housed in a neoclassical building on one of the side streets in the heart of Keramikos, Funky Gourmet is a temple of Greek molecular gastronomy. 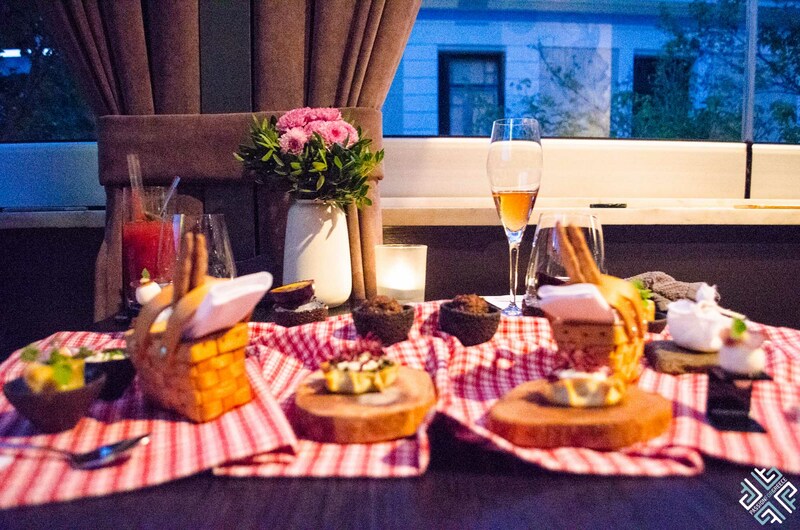 Since 2009 Funky Gourmet has been offering one of the best fine dining experiences in Athens and our expectations where high as we set our foot through the door. The story of Funky Gourmet goes back to the Institute of Culinary Education in Manhattan where two passionate culinary students Georgianna Hiliadaki and Nikos Roussos met in 2003. 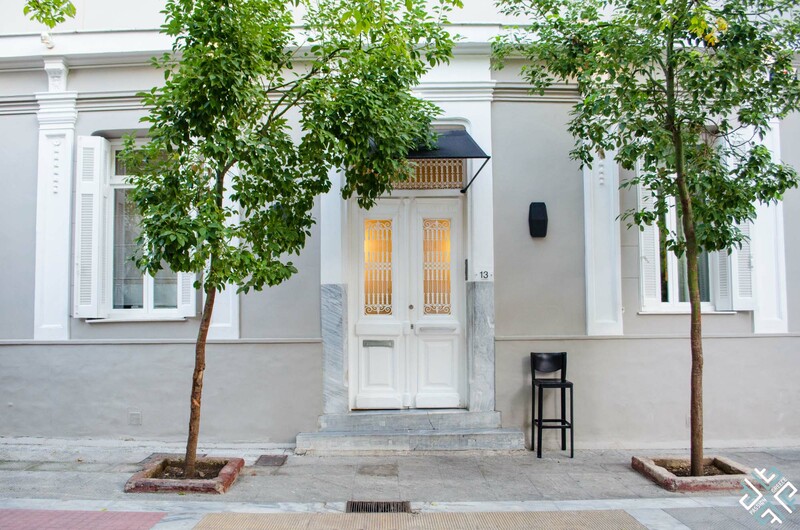 At a later stage after having gained valuable experience from working in a number of renowned restaurants across Europe and the US, they teamed up with Argyro Hiliadaki to establish their envisioned culinary concept in their home city — Athens. 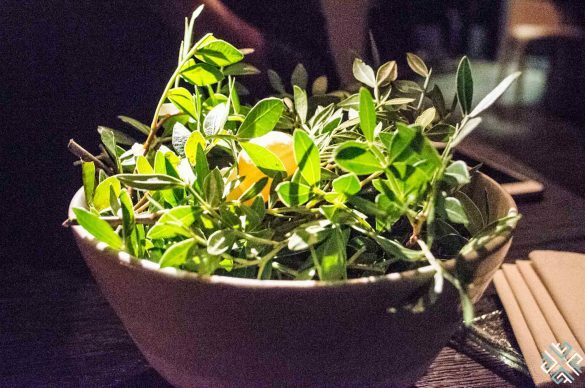 Inspired by the richness of the Greek cuisine and the uniqueness of the local products a multi-sensory dining experience was created. After a warm welcome, we were showed to our table in the main dining room on the first floor. The restaurant is dimly lit, with tables arranged around the walls lined with large windows which open up to the view of the surrounding neoclassical buildings. 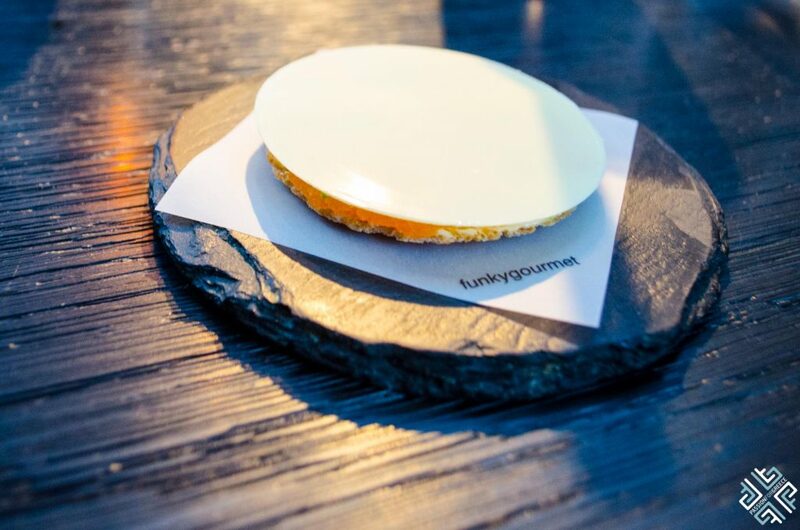 Our first offering was a Greek bottarga tartlet topped with white chocolate served on a very thin cracker. The Greek caviar made out of the eggs of grey flathead mullet is one of the finest Protected Designation of Origin (PDO) products in Greece. The sensational blend of sweet and sour paired perfectly well to my liking. 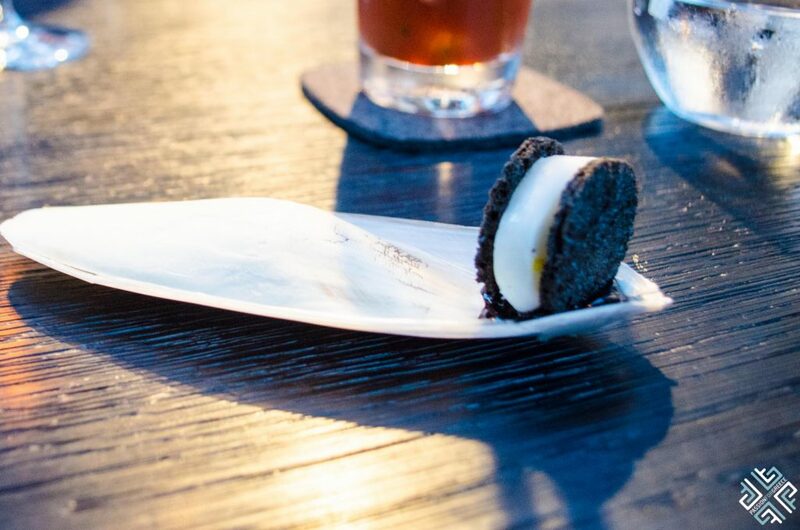 Next we tried the creative Cuttlefish Oreo which was divine. 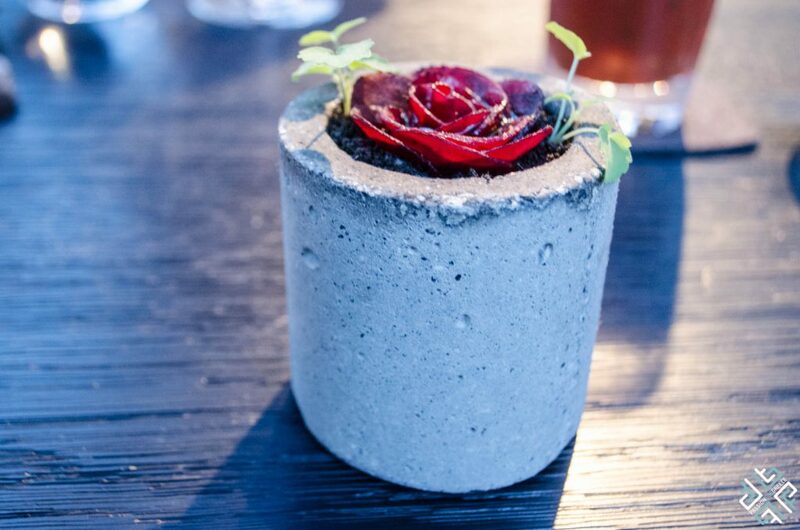 The culinary journey continued to the garden of roses and we were specifically instructed not to smell but to taste as the waitress presented us with a gorgeous carved beetroot rose planted in a pot of smooth edible soil. 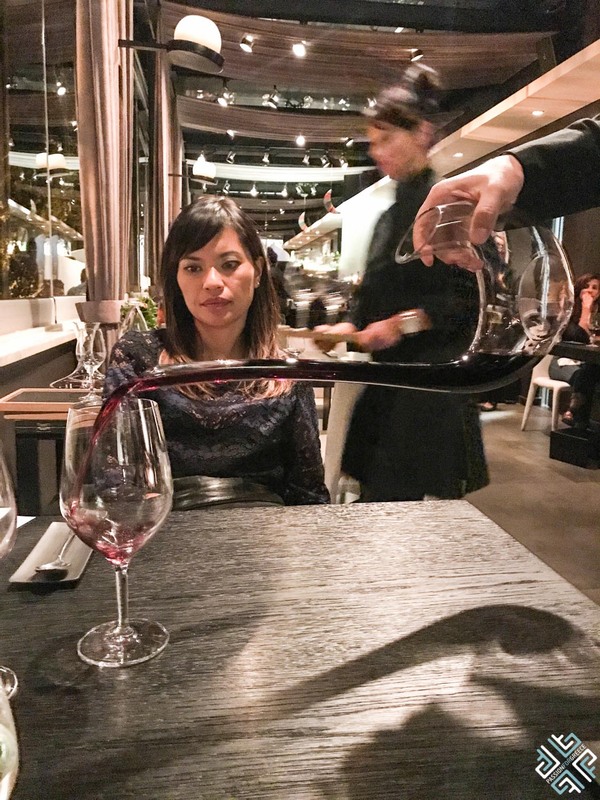 Throughout the meal the sommelier presented us with the choice of wines which have been carefully selected to perfectly complement the degustation menu. The first three courses were paired with a glass of Duval-Leroy Rosé Prestige. Find the surprise dish was presented in a small white plate where you had to guess which truffle was real and which one was the treat. 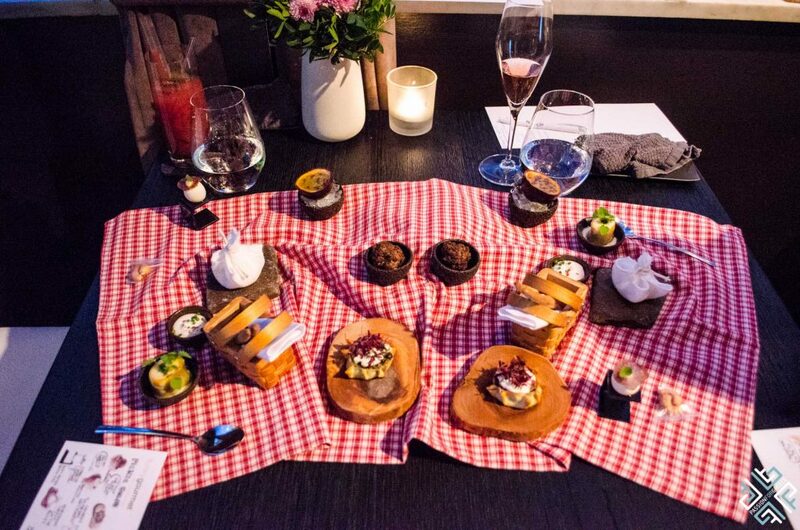 The highlight of the meal came in a perfectly assembled picnic basket which was beautifully laid out on the table in front of us accompanied by instructions — a Picnic guide postcard. 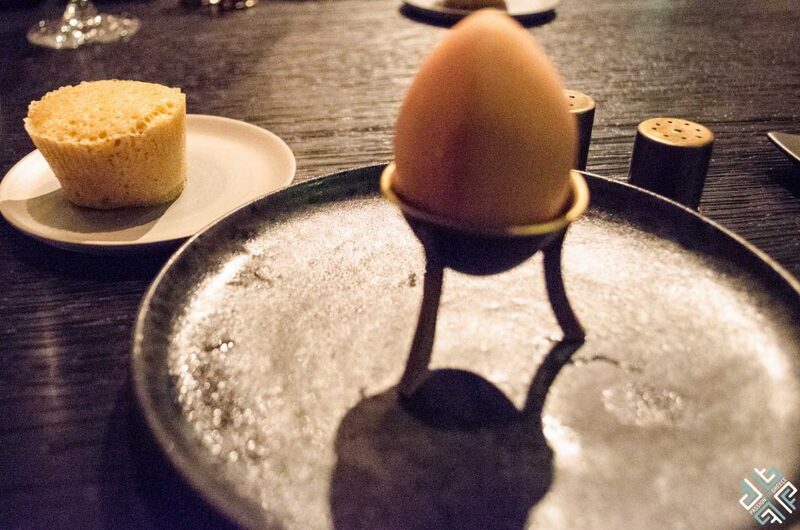 First we had to eat the juicy meal ball as it was still hot, then we grabbed our spoon and indulged in a miniature pastitsio followed by a soft boiled quail egg which exploded in my mouth. There was also cashews in a bag that melted in the mouth, yes correct no need to recycle. The feast included a small homemade phyllo greens pie, cheese on the rocks, silky fish eggs tarama cream which you could enjoy by dipping in the fresh olive baguettes and lastly a sweet passion fruit drinkable dessert. This was only the beginning. 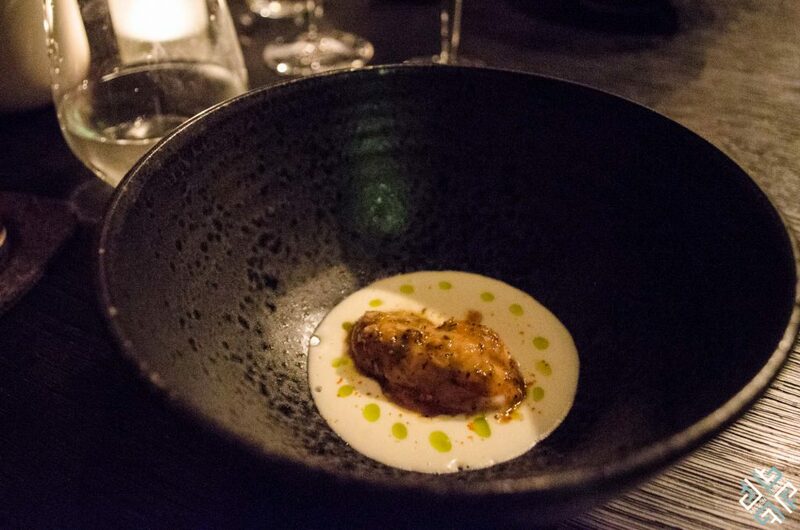 The next dish was paired with fresh Chios beer, not something that you would usually find in a fine-dining restaurant. 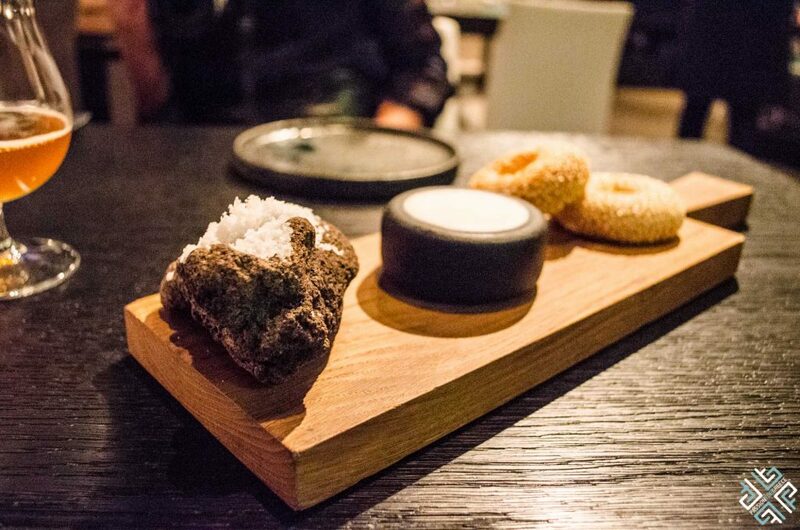 Presented on a wooden board in front of us was a coulouri bread with Cretan buttermilk and salt. 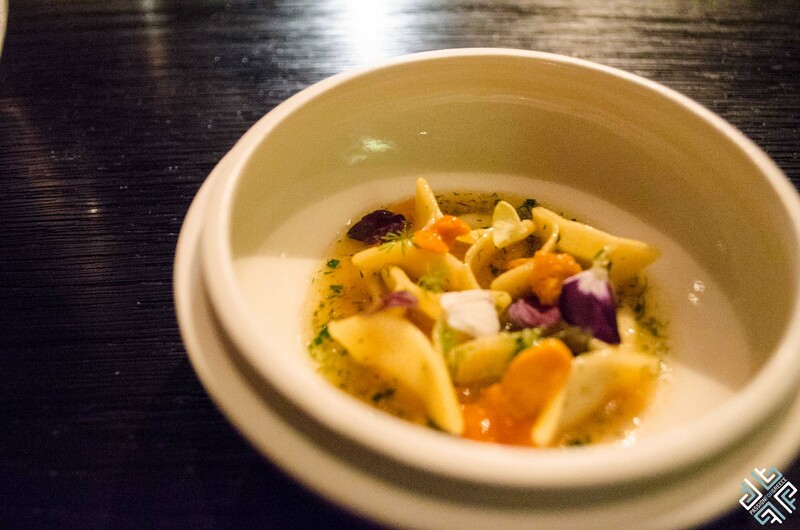 We then followed with a dish bearing fruits of the sea, fresh sea-urchin was carefully placed from its shell on the pocket pasta, the flavours and textures blended very well together. The earthy aromas of the snails topped with grated truffles was a creative way of cooking snails in Greece. 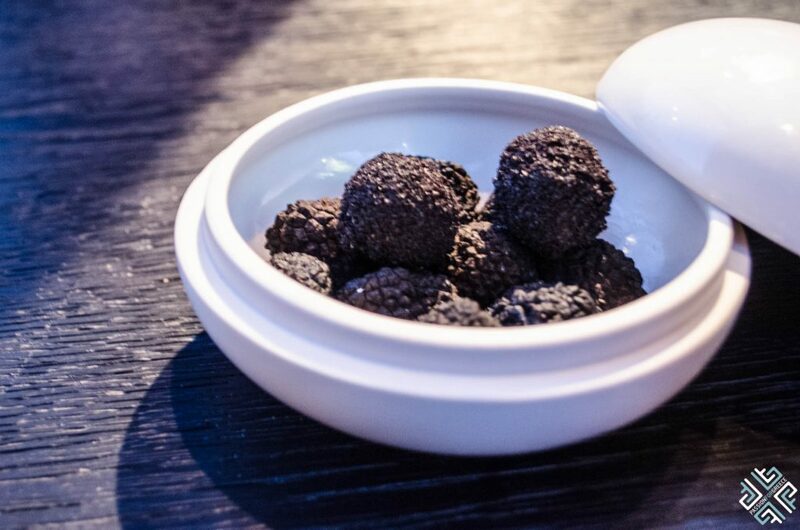 There was no sign of snails only in the subtle taste that it left on the palate which was complimented by the addition of the truffle. This dish was paired with a glass of red wine, Luciano Sandrone, Barbera D’Alba, 2014 produced in Barolo. For a change of flavor came the Greek Salad — and as we were expecting a nice big bowl of freshly chopped cucumbers, tomatoes and feta cheese, we got a small white sorbet instead. Use the shovel to eat the snow. A very unusual take on a Greek Salad. 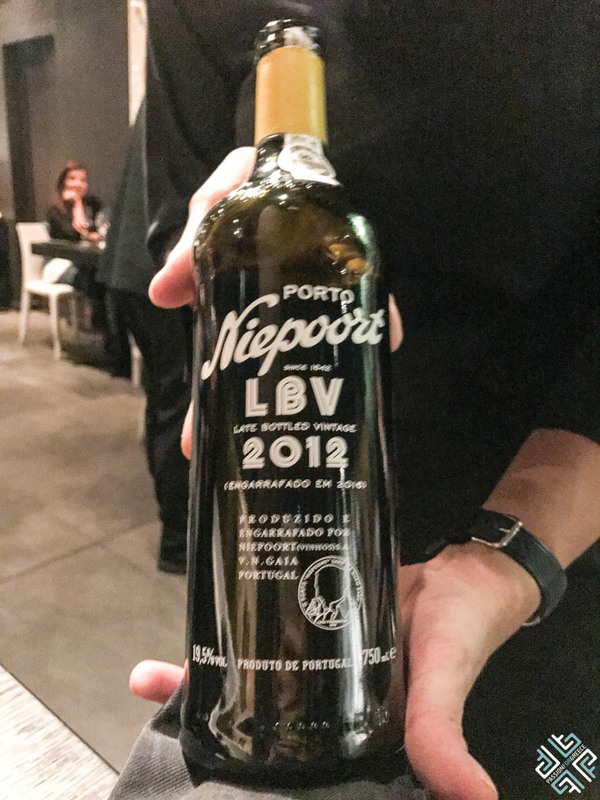 The sommelier kept presenting the selected wine which was now a glass of Bodegas Lustau, Sherry Manzanilla Papirusa — with an intense colour and a smell of roasted nuts. 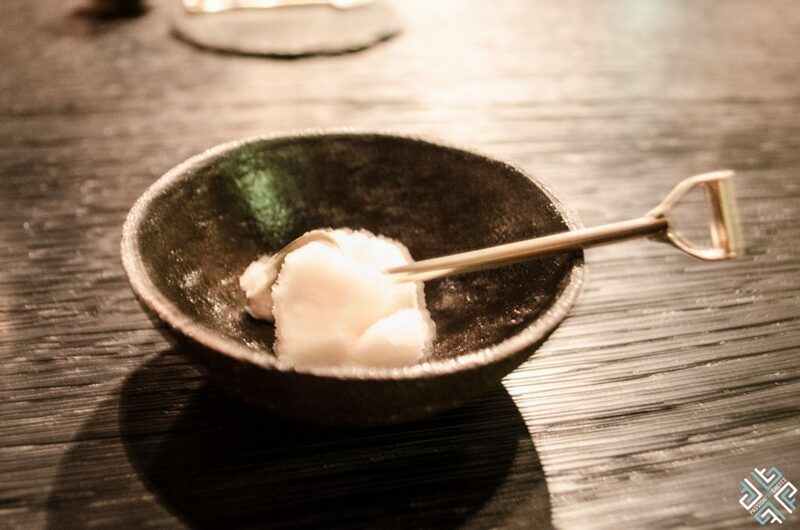 The signature dish on the degustation menu is the Silence of the Lamb — the brain of the lamb served in a lemon flavoured sauce. If you like lamb brains then this is a treat if not then I recommend that you opt for the veal option. 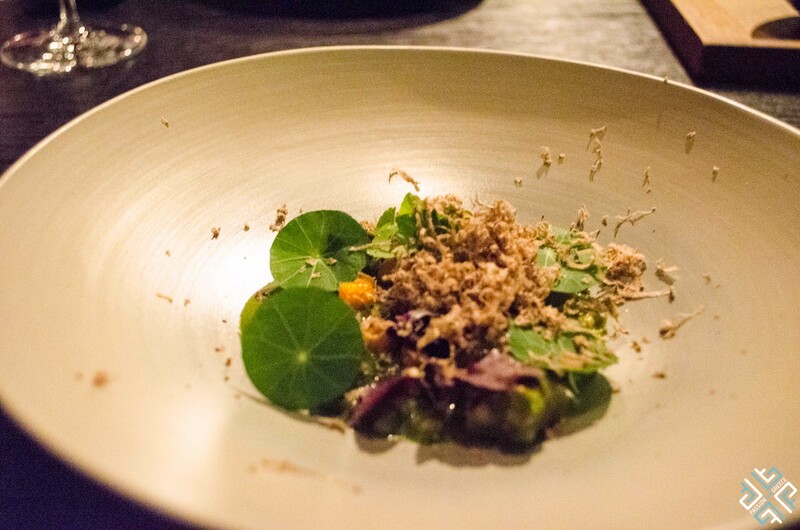 This dish was paired with a glass of dry red wine from a biological wine producer Papaioannou Estate — Microclima, Agiorgitiko, 2006. 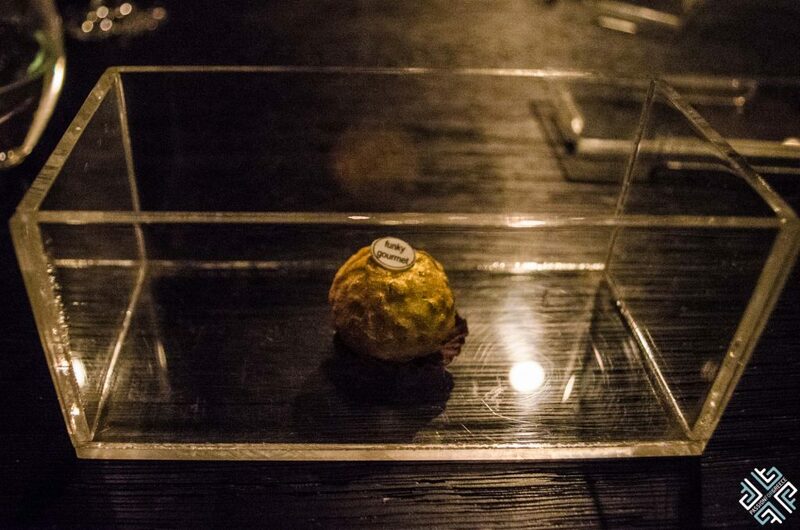 A box with a single Ferrero Rocher, the Funky Gourmet production was placed in front of us, a fusion of foie gras and cherry spoon sweet. 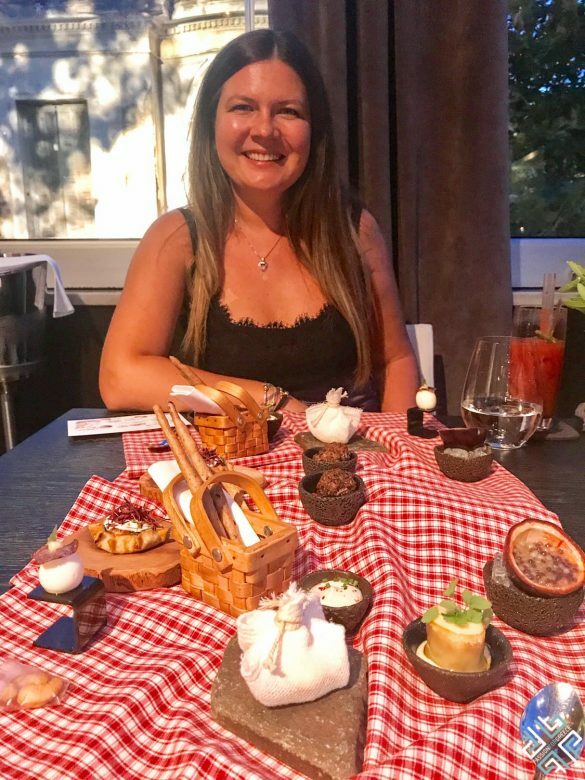 By then we were already quite full despite the fact that it is a degustation menu and we were pretty sure that we were coming to an end but then breakfast was served, a hard boiled egg with salt and pepper shaker set and some bread of course. As you crack the egg open and get a taste of the sweet passion fruit and mango egg yolk, delicious. 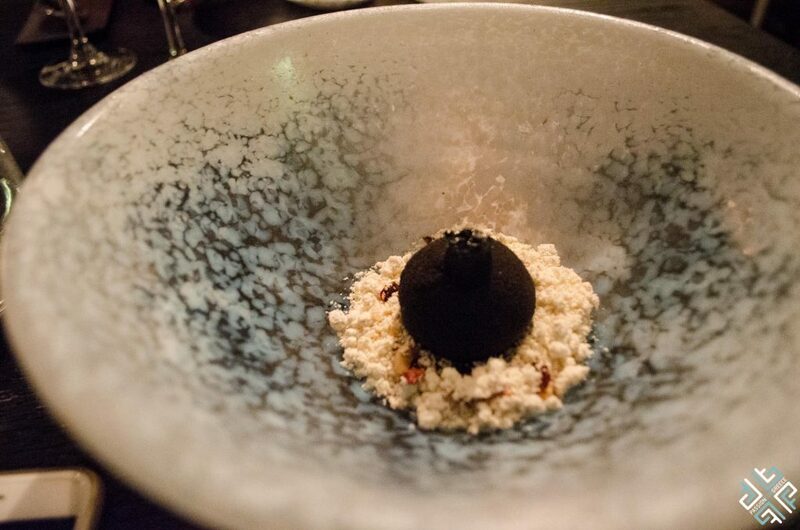 The dessert selection is a meal of its own, we then received a lighter to light the Chocolate bomb and as we watched the flame burn out the crunchy chocolate was heavenly. This was paired with a glass of Greek sweet wine Malvasia Moraitis. The last but not least we were presented with a bowl filled with Skinos tree branches the evergreen shrub which produces the famous aromatic resin. All of a sudden we were surrounded with smoke which was overflowing from the treasure ball from which we picked the mastic bombs and as instructed we closed our mouth as a mastic water flavour exploded in the mouth. 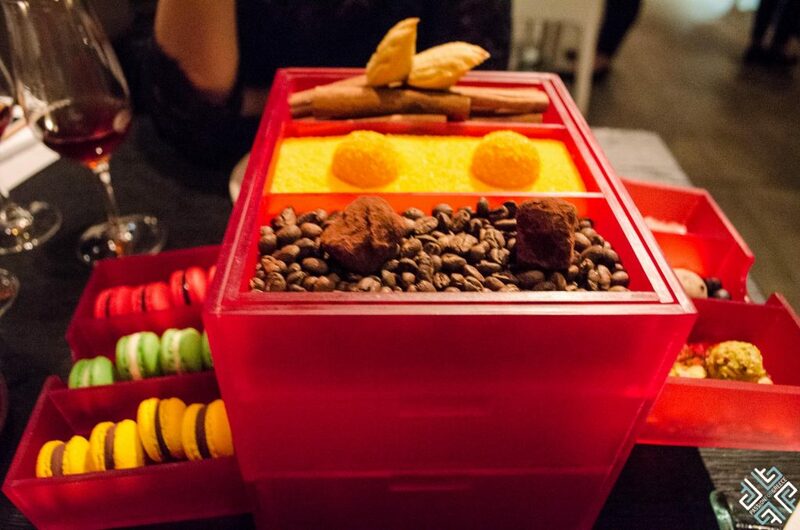 To top our intake of sugar we were presented with a red box packed with petit fours and lastly we tasted the specialty filtered coffee Geisha prepared in front of us and served in a wine glass. 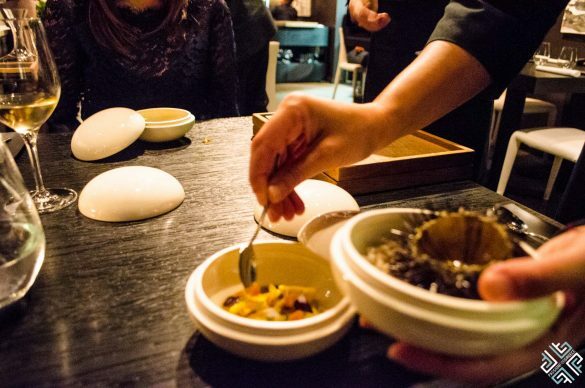 If you are looking to delight your senses then we recommend that when you visit Athens you should treat yourself with this extraordinary 2 Michelin star dining experience. 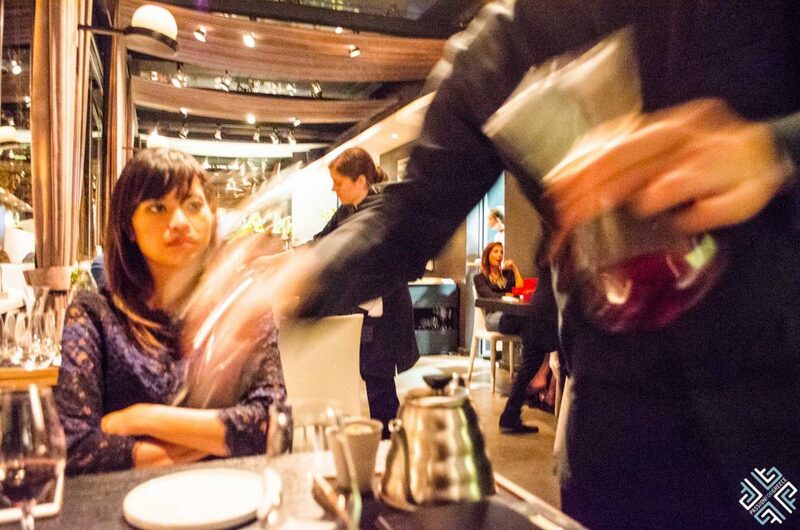 The food was mind-blowing and the service was impeccable. 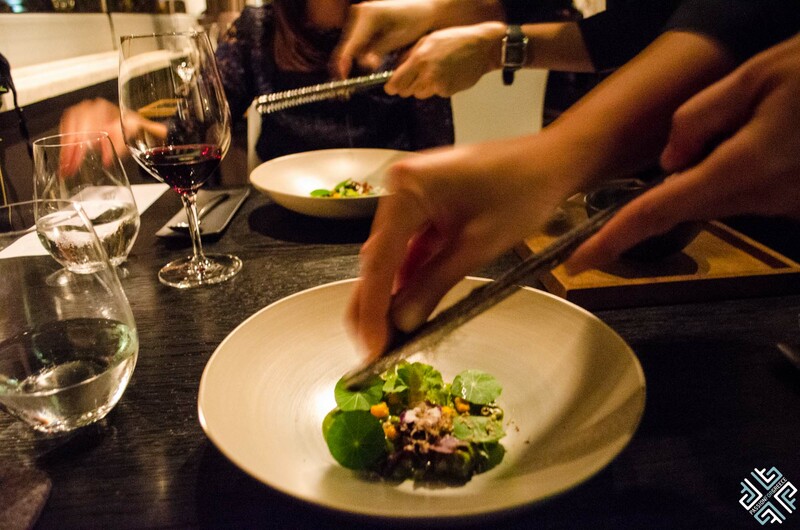 This world-class degustation menu is guaranteed to excite the discerning foodie as the balance was as close to perfect as you can get. 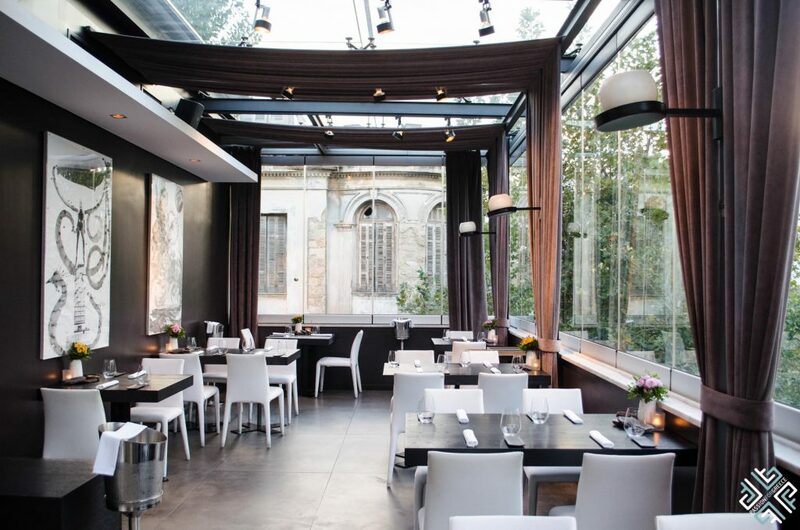 Funky Gourmet is one of the best restaurants in Greece. Tuesday to Saturday, 19:00 – 00:00, last order 21:30. Only with reservations which can be done by email info@funkygourmet.com, or by phone +30 210 5242727. *Passion for Greece was a guest of Funky Gourmet, all opinions expressed are my own.